young school teacher in 1966. 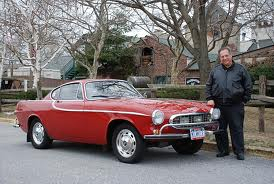 By the end of its first weekend, he'd driven it 1500 miles. 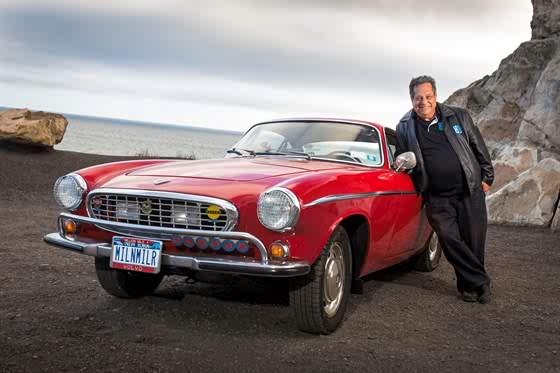 In Sept. of 2013 they completed their 3,000,000th mile together. 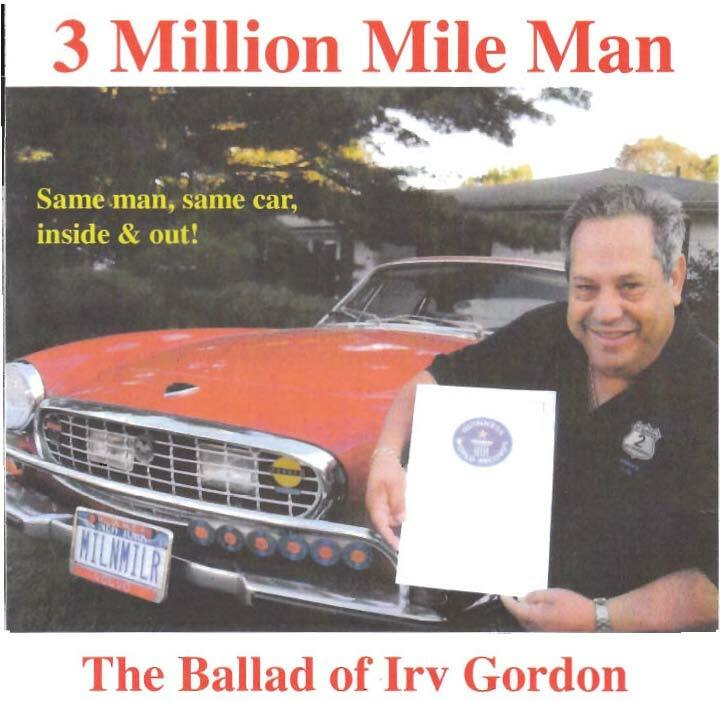 the Ballad of Irv Gordon was started when his odometer was reading about 2,950,000. 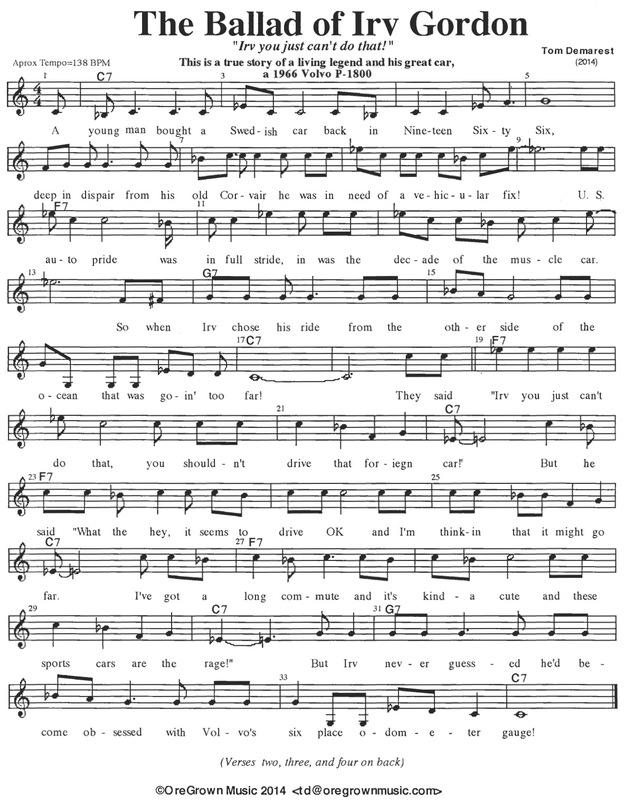 In May of 2013, I sent it to Irv on my 67th birthday. 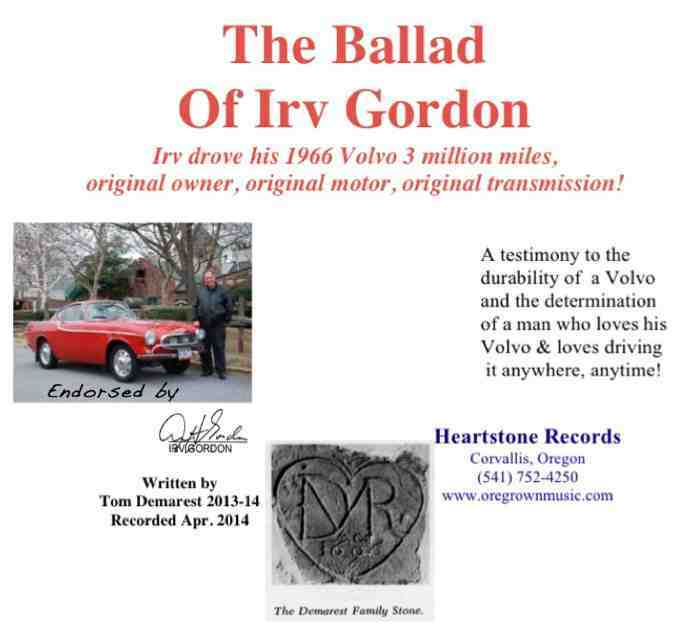 Congratulations Irv! 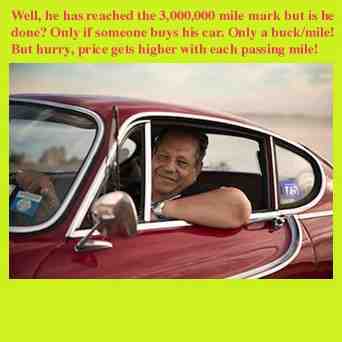 You really did it! Secure Purchase Using PayPal link below. 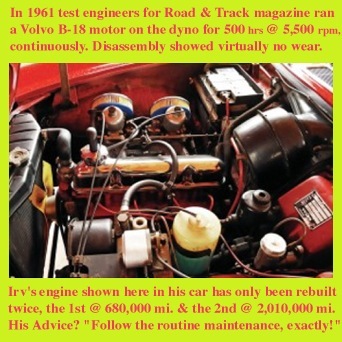 There are countless links related to Irv & his three million mile Volvo. 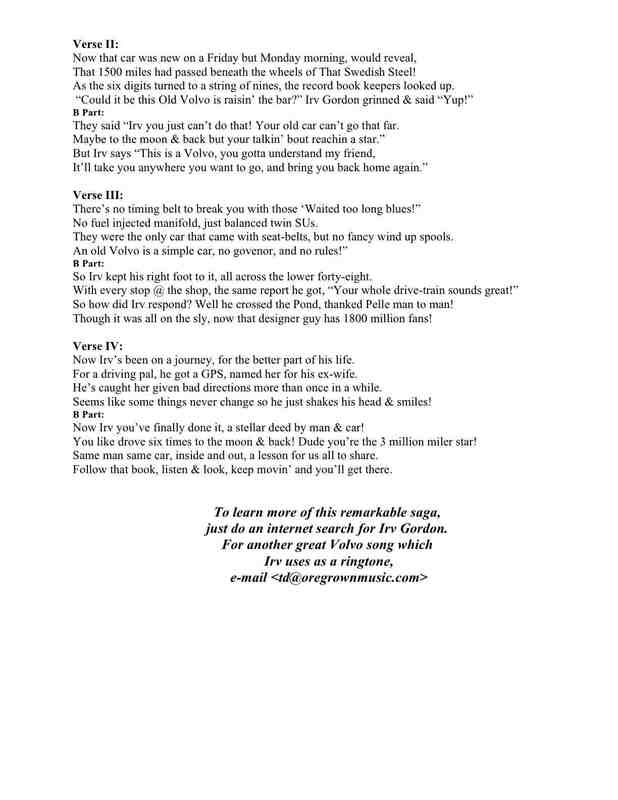 Can you guess what Irv has for a ringtone on his phone?